On Saturday April 28, 2018, Rutgers Climate Institute teamed up with the Office of the NJ State Climatologist where visitors of all ages learned about climate change through stories, “climate jeopardy”, and questions and answers with experts. On April 6, 2018, RCI hosted its final climate lunch of the academic year. RCI lunches are an opportunity for graduate students, post doctoral researchers, faculty and staff to meet over a casual lunch setting and foster collaboration and information exchange. On behalf of the US Department of Agriculture, Northeast Climate Hub, on March 14-15, 2018 Rutgers University hosted the first regional Northeast Climate Hub Partners meeting “Building Agricultural Resiliency Through Adaptation” to examine the state of knowledge on climate adaptation and promote actions to support agriculture in the Northeast Region. The meeting enabled partners from government, academia and the farm community to share experiences in adapting to climate impacts and foster peer-to-peer learning through multi-directional information exchange; to strategize on how to best support science-based and cost-effective adaptation in the context of current climate science; and to support and formalize the growing community of practice around climate adaptation in agriculture in the Northeast. Meeting agenda and presentation abstracts are available here; learn more about climate change and agriculture in New Jersey here. Bill Hohenstein, Office of the Chief Economist, United States Department of Agriculture provides perspectives on national efforts to address climate change. Dr. Daniel Ward, Rutgers University speaking on Strategies and Tactics for Wine Grape Production in a Changing Climate. Hannah Aitken and Dr. Joshua Faulkner both of the University of Vermont describing the Climate Masters Project: A Farmers and Fellows Project for Peer-to-Peer Climate Adaptation Education. Almost 200 students, post-docs, faculty and staff from academic institutions in our region participated in Rutgers Climate Symposium 2017 in which the theme was Climate Change and Cities. The tag line, "Wherever the world is going cities will get there first" is a nod to the slogan "Wherever American cities are going, Newark will get there first" touted by then Newark mayor, Kenneth Gibson almost 40 years ago. Participants were treated to an inspiring keynote by Rutgers alum, Dr. Cynthia Rosenzweig,of NASA Goddard Institute for Space Studies where she heads the Climate Impacts Group. Dr. Rosenzweig stressed how key cities are to the responding to climate change in terms of both reducing carbon emissions as well as adapting to climate change. She noted that the Paris Climate Agreement recognizes cities as important stakeholders in achieving climate action in agreeing to promote regional and international cooperation. She pointed out that more than 7,100 cities from 119 countries participate in the global covenant of mayors for climate change representing 8% of the world's population and that cities have more direct contact and day to day responsibility for taking governance action to address climate change. A plenary panel included Nilda Mesa, Director of Urban Sustainability and Equity Planning, Earth Institute, Urban Design Lab, Columbia University; Julie Pullen, Associate Professor of Civil, Environmental and Ocean Engineering, Stevens Institute of Technology and William Solecki, Professor of Geography, Hunter College. In addition to their presentations, the plenary panelists discussed the exciting opportunities for transdisciplinary collaborations between natural and social scientists, noting however, that different disciplines use distinct terminology so that when working across disciplines, collaborators need to ensure they are using common terms. In addition, the panelists discussed the importance of testing assumptions with field work and understanding the culture of a place to inform policy decisions. Posters were presented by researchers from not only Rutgers but institutions across the region . The event provided an excellent opportunity to foster collaboration on climate change scholarship in our region. ​Mesa has been the Director of the New York City Mayor’s Office of Sustainability, where she led OneNYC, the city’s path-breaking long-term sustainability plan, overseeing environmental reviews and citywide policy development and implementation on such areas as energy, climate change, green building standards, recycling and the circular economy, environmental justice, air quality, water, parks and natural resources, and sustainable transportation. Dr. Pullen is an Associate Professor in Civil, Environmental, and Ocean Engineering at Stevens Institute of Technology. She holds a joint appointment with Brookhaven National Laboratory and is an adjunct research scientist at Columbia’s Lamont-Doherty Earth Observatory. Previously, she was the Director of the Department of Homeland Security (DHS) National Center of Excellence in Maritime Security at Stevens and a former science fellow at Stanford’s Center for International Security and Cooperation. She studies complex coastal air/sea interactions, those surrounding cities and mountains, utilizing high-resolution (<5 km) coupled ocean/atmosphere/ hydrology models and observations from targeted field campaigns around the globe. 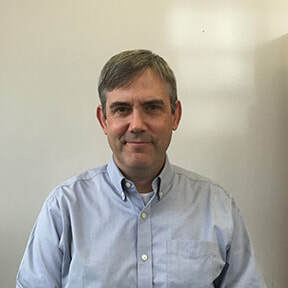 Dr. Pullen has served on the steering team for field studies in urban air contaminant dispersion (DHS/Defense Threat Reduction Agency NYC Urban Dispersion Program) and tropical meteorology and oceanography (Office of Naval Research, PhilEx and PISTON programs). Dr. Pullen’s research contributes to the understanding and development of resilience and sustainability in coastal environments, and the enhancement of Earth System Models on weather, subseasonal-to-seasonal, and climate timescales. In 2015 Dr. Pullen was elected as the physical oceanography councilor for The Oceanography Society. She was a member of the 2014-2016 National Research Council committee on Earth System Prediction and is on the international GODAE Coastal Ocean and Shelf Seas Task Team. Dr. Pullen is a board member of the Waterfront Alliance, a civic organization representing over 900 groups with a stake in the NY/NJ waterfront, and is co-chair of the policy committee. She was a chapter co-author of the 2015 New York City Panel on Climate Change (NPCC2) report. She is currently co-editing an issue of the journal Oceanography focused on ocean warming. Dr. Pullen holds a master’s degree in applied mathematics from the University of Arizona, and a Ph.D. in physical oceanography from Oregon State University. As an undergraduate at Macalester College she majored in physics and math. She was the first undergraduate intern at the Santa Fe Institute, and conducted postdoctoral work with the Naval Research Laboratory pioneering air/sea coupled modeling. Cynthia Rosenzweig is a Senior Research Scientist at the NASA Goddard Institute for Space Studies, where she heads the Climate Impacts Group. She is Co-Chair of the New York City Panel on Climate Change (NPCC), a body of experts convened by the mayor to advise the city on adaptation for its critical infrastructure. 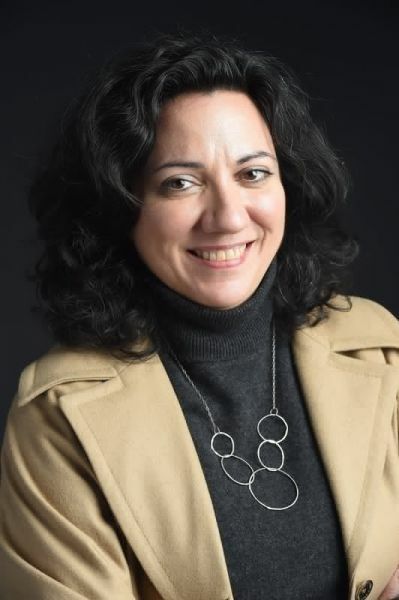 She co-led the Metropolitan East Coast Regional Assessment of the U.S. National Assessment of the Potential Consequences of Climate Variability and Change, sponsored by the U.S. Global Change Research Program. She was a Coordinating Lead Author of Working Group II for the Fourth Assessment Report of the Intergovernmental Panel on Climate Change (IPCC). She is Co-Director of the Urban Climate Change Research Network (UCCRN), Co-Editor of the First and Second UCCRN Assessment Reports on Climate Change and Cities (ARC3), and Co-Chair of the Urban Thematic Group for the United Nations UN Sustainable Development Solutions Network (SDSN) and the Campaign for an Urban Sustainability Development Goal (SDG). She serves as Chair of the Board of the New York City Climate Museum. She was named as one of “Nature’s 10: Ten People Who Mattered in 2012” by the journal Nature, for her work preparing New York City for climate extremes and change. A recipient of a Guggenheim Fellowship, she joins impact models with climate models to project future outcomes of both land-based and urban systems under altered climate conditions. She is a Professor at Barnard College and a Senior Research Scientist at The Earth Institute at Columbia University. Solecki’s research focuses on urban environmental change, resilience, and environmental transitions. He has served as leader or co-leader of several climate impacts studies in the greater New York and New Jersey region, including the New York City on Panel on Climate Change (NPCC) and the New York State ClimAID report. He currently serves as the co-PI on the Climate Change Risk in the Urban Northeast (CCRUN) NOAA-funded RISA project which is designed to promote climate risk information for decision-makers and stakeholders in the urban Northeast US. Solecki is the participant on a recently NSF funded, Urban Resilience and Extreme Events (UrEX) Sustainability Research Network. He currently is a coordinating lead author of the IPCC, 1.5°C Special Report, and a lead author on the fourth U.S. National Climate Assessment (NCA4), Northeast Chapter. He is a co-founder of the Urban Climate Change Research Network (UCCRN) and co-editor of the recent Climate Change and Cities Assessment (ARC3) Report. He also serves as the co-editor of the journals Current Opinion in Environmental Sustainability and the Journal of Extreme Events. His Ph.D. is in Geography from Rutgers University. This study presents a systematic analysis for identifying and attributing trends in the annual frequency of extreme rainfall events across the contiguous United States to climate change and climate variability modes. A Bayesian multilevel model is developed for 1,244 stations simultaneously to test the null hypothesis of no trend and verify two alternate hypotheses: trend can be attributed to changes in global surface temperature anomalies, or to a combination of well known cyclical climate modes with varying quasi-periodicities and global surface temperature anomalies. The choice of the best alternate hypothesis is made based on Watanabe-Akaike Information Criterion (WAIC), a Bayesian pointwise predictive accuracy measure. Statistically significant time trends are observed in 742 of the 1,244 stations. Trends in 409 of these stations can be attributed to changes in global surface temperature anomalies. These stations are predominantly found in the Southeast and Northeast climate regions. The trends in 274 of these stations can be attributed to the El Nino Southern Oscillations, North Atlantic Oscillation, Pacific Decadal Oscillation and Atlantic Multi-Decadal Oscillation along with changes in global surface temperature anomalies. These stations are mainly found in the Northwest, West and Southwest climate regions. Climate change continues to exacerbate the frequency and intensity of natural disasters such as extreme weather events and the resulting flooding. Vulnerable and older communities are at greater risk, due to limited knowledge and access to resources about how to cope with such events. Persistent flooding from human induced climate change in Mid- Atlantic region will impact these 100 -year and possibly 500- year, storm events making them more intense and frequent than expected. The purpose of this study was to examine the ways to strengthen community resilience by building social capital: bonding, bridging and linkages to services at local, regional and national level. The Eastwick Disaster Impact Survey was administered to the low-income older African-American members living in Eastwick, Philadelphia to identify their attitudes, beliefs, and perceptions threats regarding the severity of flooding specific to their area. Additional questions were included in the survey to address the immediate barriers and gaps in emergency preparedness including utilizing the current resources like accessing floodplain maps, ability to interpret them or lack of training to evacuate immediately in moment of crisis by developing effective communication at all levels of the governance from local to federal through trust and reciprocity. These surveys provided a snap-shot of the current state of services available within this community, suggested community specific interventions by incorporating culturally competent evidence-based information to build more resilient communities. Confounding factors such as socioeconomic strata, employment and health comorbidities may have influenced the results of this study. Scientist often do not value or have difficulty communicating effectively with general public. Many grants now incorporate some form of outreach in order to encourage academics to actively participate in educating the general public. Our lab has developed demonstrations to engage people of all ages and teach the value of wetland habitats. An interactive Plexiglas tank is used to show the role that wetlands play, as a flood attenuators by demonstrating what happens when they are developed. It is easily transported to be used at community events or classrooms. When possible, partnerships with youth organizations are formed, so kids can learn outside and immerse themselves in local estuarine ecosystems. Outdoor programs are developed which encourage kids to ask questions and preform basic scientific techniques. The content disseminated from our lab forces the general public to think twice about how their actions effect the environment around them. The prevalence of Allergic Airway Disease (AAD) is growing globally, resulting in increased numbers of emergency department visits and hospitalizations. Clinical studies show that AAD can be exacerbated by the synergistic action of aeroallergens such as pollen and fungi, and atmospheric pollutants such as ozone. Furthermore, climate change has critically affected atmospheric processes involved in the dynamics of air pollution systems and emissions of natural pollutants such as pollen and spores. Previous studies, involving data from nationwide observations of airborne pollen counts of selected plant species in conjunction with climatic factors, indicated that the start date and length of pollen season, the average peak value and annual total of daily counted airborne pollen have been affected substantially by the changing climate. The present study investigates co-occurrences of ozone exceedance and ragweed pollen across the contiguous United States (ConUS). Analyses of observed ragweed pollen counts and ozone concentrations at 58 pollen monitor stations were conducted. Concentrations of ragweed pollen in base years (2004) and future years (2047) were simulated with a customized version of CMAQ (the Community Multiscale Air Quality model) employing a grid with 50 km by 50km horizontal resolution, while corresponding ozone concentrations at similar resolutions for the above timeframes were conducted by a multi-university/agency consortium including USEPA. The study employed spatiotemporal correlation analysis to examine patterns of co-occurring ozone and ragweed pollen concentrations. The outcomes of this study provide information that can support development of strategies for managing health-impacts of co-occurring photochemical pollutants and aeroallergens. An analysis of extreme seasonal minimum minimum and maximum minimum temperatures at six stations across New Jersey show a strong warming pattern over the past 52 years. This is most pronounced in winter, especially at inland stations. In other seasons the increase is greater in maximum minimum temperatures. The overall warming of seasonal extreme minimums exceeds that of seasonal mean minimums. Changes in these extremes play a role in human health and the potential survival of harmful invasive insects. Coastal wetlands in New Jersey include a diverse array of freshwater, estuarine, and salt marsh habitats that are controlled in part by the complex heterogeneity of the subsurface hydrogeologic system. The effect of sea-level rise on groundwater flow in the unconfined aquifer system underlying salt marshes of the Edwin B. Forsythe National Wildlife Refuge was evaluated. Groundwater conditions were assessed with synoptic groundwater-level measurements at multiple well sites. Vertical profiles of hydraulic head and specific conductance (SC) were obtained using drivepoint methods. Results indicate that strong hydraulic head gradients occur from the onshore uplands to the marsh and from deeper to shallower depths. Groundwater SC was consistently very low, even at locations where marsh surface water SC was two orders-of-magnitude greater, which indicates that infiltration of this saline surface-water veneer is inhibited by the strong fresh groundwater discharge to the marsh. Simulations of the groundwater flow system for three sea-level rise scenarios indicate that the water-table rise associated with sea-level rise will increase evapotranspiration and freshwater discharge to streams, decrease freshwater discharge to salt marshes, and shallow the fresh-saline groundwater interface in the aquifer. Such changes to the subsurface hydrologic system may alter these important wetland habitats. Rearrangement of ecological and economic landscapes to mitigate the impacts of sea level rise. Coastal communities worldwide are faced with climate change effects that include sea level rise and increases in the severity and frequency of storms. We present a framework for coastal adaptation to these impacts in planning efforts, using coastal New Jersey landscapes as case studies. A broad concept of ecological and geomorphological structures is needed. Ecological connections are maintained or restored from the sand beach through the tidal bay to the mainland, allowing species to migrate inland as their ecosystems change. This plans also re-envisions shore tourism by attracting visitors to the larger and wider shore area, an approach that can maintain or even increase social and economic activity as sea level changes. These principles can be applied in any coastal landscape where sea level rise is expected. This approach was fostered and supported by a USHUD program, Rebuild by Design, to incorporate collaborative, architectural and ecological approaches to changing climate and sea level rise. These ecological concepts can be adapted for use to maintain biotic and economic processes in threatened coastal communities. Air pollution is a key issue in modern society and one of the major contributors to release of CO2, primarily due to combustion and cellular respiration. CO2 also exists as a major greenhouse gas and is the primary cause of global warming. CO2 also forms a key part of life pathways, providing much of the raw materials for the production of sugars in photosynthesis where it is converted to oxygen before being released back into the atmosphere. This process only occurs during the daylight in turn causing CO2 levels to drop as the day goes on, in turn plants must switch to cellular respiration at night and convert sugars into CO2 and energy both removing their buffering effect and contributing to atmospheric CO2. There are many factors that contribute to ambient CO2 levels in the atmosphere from the initial amounts released in an area, the amount of vegetation found in an area, and the time of day, most of which is covered under the idea of land use. Different land uses inevitably cause different levels of CO2 release and absorption, a large parking lot will inevitably have higher levels of CO2 compared to deep forest but can the same be said with any surety for a refinery that maintains large tracts of vegetation or a wetland filled with decaying matter. Understanding how land use affects CO2 levels throughout the day is key to future urban planning and civil design. The research goal in this study was to monitor CO2 concentrations near vegetative field versus industrial/shopping areas throughout the day to assess overall change in CO2 level in the atmosphere using hand-held CO2 probe. CO2 concentrations varied near vegetative field where morning CO2 concentration was higher. CO2 concentrations did not vary in the industrial/shopping areas throughout the day but consistently higher than the vegetative field. Extreme climate events such as heatwaves and droughts are predicted to increase in frequency in the northeastern United States. Building green infrastructure such as green roofs is a way for cities to mitigate environmental stressors but these living systems will also be affected by extreme climate variation. The response of green roof plants to heat and drought is not well-documented and the effect of soil microbial communities on these plant responses is entirely unknown. This project seeks to characterize how different combinations of plant species used on green roofs and root-associated microbial communities respond to heat and drought treatments. Soil microbial communities were established in greenhouse pots via inoculation with soil from green roofs planted with Sedum and green roofs planted with mixed vegetation, and with green roof media autoclaved as a control. Stomatal conductance, chlorophyll fluorescence, and plant biomass will be measured to evaluate plant performance that may link to ecosystem service provisioning under each treatment. cDNA will be sequenced to evaluate potential upregulation of AM fungal genes that confer drought resistance to the host plant. Information regarding how soil microbial communities respond to environmental conditions and subsequently influence plant ecophysiology, could contribute to urban climate change resiliency planning. The effects of Climate Change vary depending on geographic location. Based on models and predictions, some areas in the United States will see increased average temperatures and some areas may see more precipitation. However, there is little information about regional perception of Climate Change. This study analyzed responses to a Climate Change survey to determine if there are any relationships between the region and their concerns. The survey used for data collection was created in Google Forms, and over 2,000 respondents participated. Three hypotheses were proposed for this study: 1) Coastal regions in the United States will have a principal concern of change in sea level. 2) Midwest regions will have a principal concern of change in frequency of droughts. 3) Regions more prone to see the effects of Climate Change will be more concerned than other regions. In the data analysis, hypothesis one was shown to be false, and the actual principal concern was change in temperature. Hypothesis two was also not supported, and the actual principal concern was in change in temperature. Hypothesis three was supported with coastal regions being the most concerned about Climate Change versus other regions. Accurately predicting global sea level rise requires more refined surface mass balance models of the Greenland Ice Sheet that can capture spatially heterogeneous influxes of solar radiation. The ablation zone of the Greenland ice sheet shows extensive surface topography however, surface mass balance models generally ignore how fine-scale topography potentially causes a decrease in absorbed solar radiation. We analyzed high resolution (<0.5m), drone-derived digital elevation models and products from the ArcticDEM dataset to determine if fine-scale topography in ice decreased irradiance. Below 1000m elevation, irradiance decreased by 2.97 ± 3.3% on average due to shadowing and surface aspect, a decrease that relates to several decimeters of snow water equivalence per year. The effect is highly spatially variable with some crevassed regions experiencing >70% decrease in irradiance relative to a smoothed surface. The resolution of the elevation model is also very important for determining irradiance with values decreasing exponentially with increasing spatial resolution. Shadowing may therefore partially explain why surface mass balance models over-predict meltwater production compared to in-situ supraglacial river flow measurements. As increased melting exacerbates crevassing and incision of supraglacial streams, shadowing may also act as a negative feedback loop decreasing meltwater production on the ice sheet. With a significant portion of US power generation dependent on coal, replacing all coal in power plants is not feasible in the short run. A faster, reasonable goal is to fire biomass and coal together, known as co-firing, which can be done in different percentages of increasing biomass. To estimate the outcome of co-firing, several factors needed to be addressed: energy input and effect on the environment. Percentage of co-firing was divided into increments of 5% increases, starting with 10% and ending with 30%, and change of energy efficiency was calculated. The effects on three different types of emissions: carbon dioxide, sulfur oxide, and nitrous oxide were quantified at a 20% co-fire rate. Since the extent of emission reduction differs in biomass, we used wood as an example, leading to reductions in all emissions. The reduction of pollution and energy input change was quantified regionally and compared to plants firing coal alone. Less NOx and SOx emissions will reduce the frequency of respiratory health problems and acid rain. Biomass combustion will result in less atmospheric CO2, with more CO2 absorbed into carbon reservoirs. These results show great social benefits, as well as the feasibility of co-firing biomass with coal in power generation. Recent analyses of global climate models suggest that uncertainty in the coupling between mid-latitude clouds and the atmospheric circulation contributes to uncertainty in climate sensitivity. However, the reasons behind model differences in the cloud-circulation coupling remain unclear. Here, we use a global climate model in idealized aquaplanet setup to show that the climatological circulation, which in many models is biased equatorward, controls much of the model differences in the cloud-circulation coupling. For the same poleward shift of the Hadley circulation (HC) edge, models with narrower climatological HCs exhibit stronger mid-latitude cloud-induced shortwave warming than models with wider climatological HCs. This cloud-induced warming results predominantly from a subsidence warming of the planetary boundary layer, which decreases low-level cloud fraction and is stronger for narrower HCs because of a larger meridional gradient in the vertical velocity. A comparison of our aquaplanet results with comprehensive climate models suggests that about half of the model uncertainty in the mid-latitude cloud-circulation coupling stems from this impact of the circulation on the large-scale temperature structure of the boundary layer, and thus could be removed by improving the climatological circulation in models. Zambia is a sub-Saharan country of 16 million people, many of whom suffer from malnutrition due to a lack of diversity in their diet. One strategy to diversify the diet is to increase the local production and consumption of African indigenous vegetables (AIVs). However, climate change may negatively impact these efforts. In our IRB-approved 2015 baseline survey of AIV producers in Zambia, we asked producers if changes to local weather patterns had been observed. Almost all Zambian farmers surveyed reported changes in their local weather patterns and seasonal cycles: 100% reported higher temperatures, 99.6% increased frequency of drought; 100% delayed onset of rainfall; and 100% reported increased erratic rainfall. When AIV producers were asked if weather patterns were impacting agriculture, 100% of AIV producers reported decreases in yield in 8 out of the 9 most common AIVs; 97-100% of AIV producers reported increases in weeds; and 92-100% of AIV producers reported increases in pests and diseases for 8 out of the 9 most common AIVs. Only kale appeared to be impacted the least. These observations are consistent with climate change, and confirms that approaches which incorporate resiliency to ensure high yields with a changing climate are needed with AIVs. Supraglacial river networks are the most efficient conduits for evacuation of meltwater runoff produced on Greenland ice sheet. These rivers are prominent features on the ablation zone of southwest Greenland. However, little is known about the transport of meltwater through supraglacial stream network and most of the in-situ observations only capture a few days of streamflow. Here we report three months of observations of water level and discharge collected during summer of 2016, in two small supraglacial streams near the ice sheet margin in southwest Greenland. We also compare streamflow observations with meteorological data from a nearby automatic weather station. The two sites are very different, with the lower basin relatively steep, smooth and dark while the upper basin has rugged terrain and deeply incised stream channels. These catchment characteristics propagate to different relationships with meteorological parameters. For example, upper basin stream water levels show a strong covariance with surface temperature while the lower basin water levels do not. We also find differences in temporal variation of supraglacial stream water level, with the upper basin having two distinct peaks, in mid-June and mid-July, while the lower basin shows gradual decrease from June to August. Long-term supraglacial stream observations such as these will ultimately help assess how well surface mass balance models can simulate ice sheet runoff. Did hurricane Sandy impact the real estate industry in New Jersey? Five years later we have enough information to draw conclusions on the impact of hurricane Sandy on real estate in NJ. With this work we compare the real estate transactions, post and pre Sandy, for 5 counties (Bergen, Essex, Hudson, Middlesex and Union) in North NJ. Preliminary analysis (hedonic regressions) suggest a correlation of real estate transactions with the property location (elevation, distance to shore) and the Sandy storm surge (flood boundary and height) characteristics. For those properties that were not flooded, our goal is to see how the informational “shock” of the storm changed the perceptions of future storm risks. We will investigate how the properties were or were not affected based on their distance to the storm surge and based on their distance to the FEMA flood boundary. Before the storm, the FEMA flood distance presented information on the likelihood of flooding. This information was then updated by the distance to the surge after the storm. We plan to use both hedonic ordinary least squares regressions and locally weighted regressions to affect the likely heterogeneous effects across towns and counties in New Jersey. Delaware State University has worked with the USDA Northeast Climate Hub partners together on the production of a robust, detailed, and innovative digital experience that can engage people in climate informed decision-making, and immerse the user into a digital field 'visit' that feels "as if you were there". DSU’s Smyrna Outreach and Research Center was our pilot site for this project by using high tunnels vegetable production and transitioning into organic vegetable and small fruits production. High tunnels have proven to be very innovative for managing environmental conditions and pests efficiently. This project was offered in order to build a bridge to climate adaptation strategies for the public living in both urban and rural areas. Field visits by the public have been a powerful learning method and based on our assessments of their experiences, virtual field trips have achieved similar results with greater accessibility. The virtual video and other outreach educational efforts have been promoting high tunnel vegetable production in the state of Delaware and beyond. Those educational efforts provide necessary information public need to promote and access local produce and prepare them for fast changing climate conditions and disasters. This project examines occurrences of sea breezes on hot days in New York City [NYC] from a climatological perspective. Sea breezes are identified from station data in the recent observational record (1981-2015) and large-scale predictors developed that are able to parameterize sea-breeze occurrence. These predictors, in turn, can be applied to CMIP5 models, enabling projections that sea breezes may somewhat increase in frequency under anthropogenic climate change. While still in progress and subject to revision, this work represents a first effort to parameterize this important process and to obtain estimates of changes in sea- breeze occurrence in a computationally efficient way. Analysis of marine proxies have shown that the deep-ocean circulation system during the last glacial was significantly different than today. Furthermore, these changes have been observed during the abrupt climate changes that punctuated the last deglacial interval.The North Atlantic Ocean is a critical area of deep-water formation, therefore understanding the perturbations to surface and deep-water systems in this area is critical to understanding the mechanisms that control these abrupt climate changes. Core 15JPC (2230 m), taken from the Eirik Drift, was selected for this study because it contains an expanded section (> 2 m) of the last deglaciation and has good age control with 10 AMS 14C dates. Geochemical and sedimentological records have already been generated for this core.This study conducted downcore planktonic foraminiferal species counts to further evaluate the rapid climate and water mass changes from the LGM to today, as well as during the rapid climatic events. Preliminary results show the expected trends with cold-water species dominating the record, and warm-water species peaking during warmer events. All warm-water species decrease during the YD before abundances in all species return to LGM like values at the start of the Holocene. Further work is needed to investigate these trends. Background: Rutgers School of Public Health has five core courses every graduate student across degree programs completes; one is in environmental public health sciences and occupational safety. It is taught in in-person and online hybrid course formats three times a year (fall, winter-spring, summer). Both course formats have eight modules. The final module integrates natural/human disasters, emergency preparedness and response, and climate change. Objectives: Describe components of this online hybrid course—instructor PowerPoint, hour-long online module (Udemy/NEEF on natural disasters, weather and climate), fact sheets, short videos/movies, journal/popular magazine covers, etc. Describe minimum requirements of online asynchronous discussion boards. Methods: Moodle Learning Management System was used to conduct overall file management and online portions of both course formats. Moodle allows files uploaded/downloaded in PDF and Microsoft formats from PC-compatible and Macintosh operating systems, external website links. Results: Data on student participation for original and reply post requirements over a decade (2008-2017) will be presented. Conclusion: Climate change and associated topics like natural disasters, emergency preparedness and response, and risk communication—final step of modern quantitative risk assessment process—can serve as an integrating, culminating module to complete a public health core course in environmental public health sciences and occupational safety. Meteorological station coverage over the nation of Rwanda dropped dramatically in the mid-1990s, remained limited for years afterwards and has only recently begun to rebound. The ENACTS (Enhancing National Climate Services) initiative implemented in Rwanda and several other nations in Africa has reconstructed rainfall and temperature data by combining station data with satellite rainfall estimates, and with reanalysis products for temperature. The generated datasets cover the period from the early 1980s to the present and are available at a spatial resolution of 4km. This poster explores the climatology and predictability of seasonal climate in Rwanda (which is influenced by variable topography and multiple moisture sources). Understanding changes in the patterns of seasonal climate is critical for Rwanda, in which over 80% of the total population are engaged in agriculture. The sector meets 90% of the national food needs and generates more than 70% of the country’s export revenues. Climatologies and summary statistics are analyzed at the seasonal and annual time scales. Daily-derived statistics including rainy day frequency and 5-day dry spell risk are also explored in the same way. Seasonal forecasts for MAM and SOND rainfall totals, rainy season onset and rainy day frequency in Rwanda are shown. The Neotoma Paleoecology Database (www.neotomadb.org) is a community-curated data resource that supports global change research by enabling broad-scale studies of taxon and community diversity, distributions, and dynamics during large environmental changes of the past. In addition to diatoms, it includes data on pollen, ostracods, insects, plant macrofossils, vertebrates, geochronology and other sediment characteristics. By consolidating many kinds of paleoecological data into a common repository, Neotoma lowers costs of paleodata management, makes paleoecological data openly available, and offers paleoecologists a high-quality, curated data resource. Currently, over 1,000 of the 16,000+ datasets in Neotoma are diatom related; they include > 330 diatom stratigraphies and 600 surface samples. These data are in addition to those in the Diatom Paleolimnology Data Cooperative (diatom.ansp.org/dpdc/) (about 5,000 diatom counts), which are being transferred to Neotoma. The Explorer application on the Neotoma website provides a way to search for data by investigator, site name, taxon name, geographic area, and other data factors. For stratigraphic diatom datasets, diagrams can be viewed showing taxon abundance vs depth or chronology (when present). Data uploads are handled via the Tilia software program; its automated systems check data conformity and completeness, and match taxon names with those in the master list. Downloading datasets into Tilia from Neotoma allows users to work with the data using the many tools offered by the Tilia software. Most diatom datasets are currently entered by stewards at the Academy of Natural Sciences of Drexel University (ANS), but others can upload as well. Data include diatom counts from core stratigraphies and calibration datasets, chronologies, inferred environmental values, and related metadata. We anticipate that diatom community investigators will continue to have their datasets uploaded and that data will be used for large-scale synthesis studies. For data contributors, Neotoma offers a public data archive with high visibility and quality standards. For data users, Neotoma provides a well-structured, open-access, and easy-to-use resource with multiple avenues for accessing, analyzing, and refining paleoecological data. Neotoma is used as an educational resource as well; a lesson plan using diatom data is being produced at ANS to allow students to investigate earth systems changes, develop an understanding of past biotic responses to climate change, and apply knowledge gained to current rates of environmental change. The Laki eruption in Iceland, which began in June 1783, was followed by many of the typical climate responses to volcanic eruptions: suppressed precipitation and droughts, crop failure, and surface cooling lasting two to three years. In contrast to the observed cooling in 1784-1786, the summer of 1783 was anomalously warm in western Europe, with July temperatures reaching more than 3°C above the mean in some areas. While climate models can generally reproduce the surface cooling and decreased rainfall associated with volcanic eruptions, model studies have failed to reproduce the extreme warming in western Europe that followed the Laki eruption. As a result of the inability to reproduce the anomalous warming, the question remains as to whether this phenomenon was a response to the eruption, or merely an example of internal climate variability. Using the Community Earth System Model from the National Center for Atmospheric Research, we investigate the role of the aerosol indirect effect of the “Laki haze,” and the effect of the eruption on Europe’s climate. Results indicate that the extreme summer temperatures may be attributed to natural variability. On the other hand, the unusually cold winter in Europe appears to have been due in part to the eruption, which forced a positive phase of the El Niño Southern Oscillation. Understanding the cause of this anomaly is important not only for historical purposes, but also for understanding and predicting possible climate responses to future high-latitude volcanic eruptions.